The Loan Signing System is an online video training course that contains the exact steps I have used to build my own seven-figure loan signing business. Thousands of people learn from my videos, read my articles, and follow the Loan Signing System to become loan signing agent experts. Unlike other courses, the Loan Signing System is not based on theory. I’ll show you the exact steps and specific directions in my training videos to help you become a successful notary public loan signing agent - and you don’t have to have any experience or existing knowledge to do it. The certification is based on the most up-to-date, field-tested strategies and practices so you can apply them immediately to make more money as a loan signing agent. The Loan Signing System is the number-one rated signing agent course in America, not only because I am one of the most active signing agents in America and bring those exact steps to you, but also because I take the lead in education by taking an active role in the best conferences and associations in the industry. 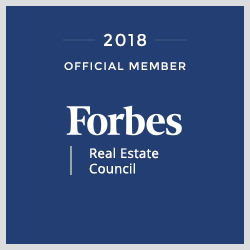 As a published Forbes Real Estate Council member, access to a vast network of leaders in the real estate industry is available to benefit Loan Signing System students! I am a host and keynote speaker at the notary signing agent "Get More Signings" conference in San Diego where students from coast to coast learn how to grow their business directly from escrow officers, signing services, and six-figure signing agents. Additionally, Loan Signing System is the only notary signing agent course that is an American Escrow Association Educational Partner, the premier escrow association in the country! And last but not least, Loan Signing System is rated A accredited by the Better Business Bureau! You can be confident that you're learning from the most relevant, time-tested, and applicable information about becoming a successful notary loan signing agent! Save over $700... get the course today! The Loan Signing System has specific strategies and tips that work in any escrow state in the United States. I have students successfully using the system to make more money as loan signing agents from coast to coast! All of my courses come with a 30-day money back guarantee. As soon as you purchase the course, you'll get unlimited and immediate access to the course and certification! There is no risk. Get the course today and learn how to make great money as a loan signing agent! Mark is one of the highest producing loan signing agents in the country, owner of a national loan signing service, and the course instructor of the Loan Signing System, the premier signing agent training to thousands of people coast to coast. Mark is a published author and official member of the prestigious Forbes Real Estate Council. Mark hosts the nationwide notary signing agent conference. The notary signing agent event of the year, called Get More Signings, brought the very people that hire you for loan signings, escrow officers, and mortgage professionals, under one roof to provide insights and opinions on you how to get more loan signings. Loan Signing System is an official educational partner of the American Escrow Association. 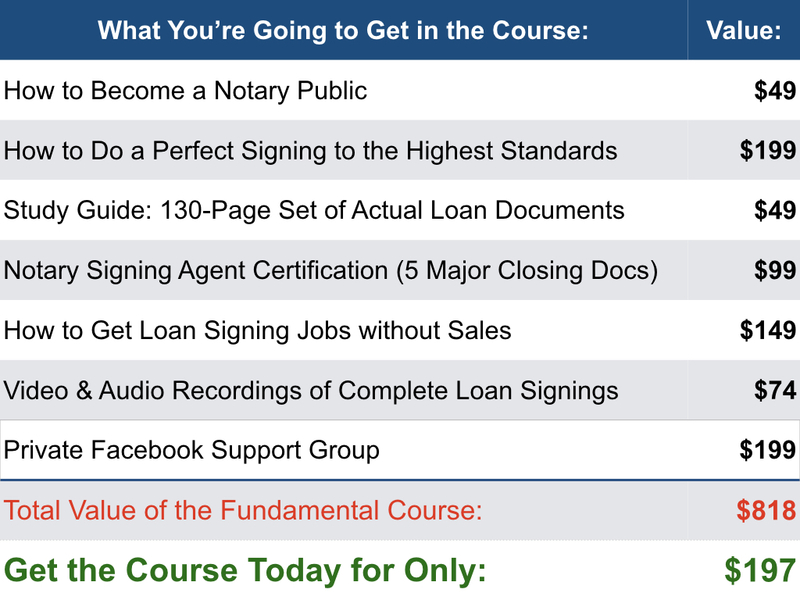 The Loan Signing System Course is a "Must"
Mark Wills loan signing agent course is what every loan signing agent needs. His course is throughly informative. Mark is very knowledgeable and detailed in doing perfect loan signings. The LSS is a must in order for you to take your loan signing business to the next level. Thank You Mark Wills, I'm very confident on doing perfect loan signings because of your course. This was one the best training courses I've ever taken. It's packed with helpful and relevant information on how to become a great loan signing agent! If you're serious about taking your Notary service to another level, then this course will be the best investment you will ever make...guaranteed! THE Loan Signing Agent Course! Great course for those starting in this industry and for experienced notaries it's always good to continue your education. I have several years experience and listed as primary loan signing agent for several title/signing companies and there was vital information that I learned from this course. Mark and his delivery in the videos makes learning clear, concise, and enjoyable. First of all - Thank you for taking the time and effort in preparing this course. Being a notary is fine but your average person does not think they should have to pay you a fee for your service. Therefore my stamp just collected dust. My niece informed me that there is a lot more then just being a notary. I turned to my computer and found the Mark Wills course. And so very happy I did. As a very retired woman with little income I know I will do well and get lots of work as an Agent. The course was very informative and I was happy to copy the papers and have hands on material to connect with Mark as he was teaching the course. Thank you. Does what he says, Says what he does. I was nervous about this course because there seems to be so many options out there. Frankly I do not feel like I could have made a better decision. My wife signed up for the course from Notary Rotary and my colleague did the course from NNA. We compared notes and it was unanimous that this course was the clear nuts and bolts winner. The course walks you through the basics of the loan signing, step-by-step, not all the hypothetical legalese that the other courses do. Plus, when you join the blog you get very specific updates that are laser focused on a specific topic. Mark, thank so much for your efforts and you integrity. Watch all the videos, even the ones you think might not apply to your goals. Mark is an energetic, educated guy who doesn't BS. He believes in repetition-for-emphasis so don't worry if you're a slow learner, he'll make sure you get it in the end. I appreciate the time Mark has taken to help others, explaining, educating, and employing. This course is a God send and worth it. I'm only in lesson five but looking forward to utilizing the skills Mark has provided. Thank you for all you have done. This course is worth every penny and then some. Detailed step-by-step videos, documents reviewed line by line. Awesome course - Get it! This course is very clear and concise. If followed in detail, you too can become an expert signing agent. I've reviewed the videos several times; each time I hear something I didn't hear before. Being able to see and hear an actual loan signing was great and needed. Thanks for choosing to offer this course. This was such an interesting and in-depth training into this industry. I learned a lot of technical terms as well as strategies to make loan signing a smooth transition for all parties involved. After years of closing loans never have I endured such intense training with the how and where. As I'm a visual type the videos really brings it to real life. I thought I was taking this course as a refresher but oh no what I found was education I really needed. Thank you so, so much Mark and your team for putting together this course. I truly recommend it to every signing agent who thinks they already know. First class training. I now understand how to effectively walk a customer through the process smoothly and timely. It just happens that I am in the middle of a refinance and this course makes the process of speaking to and providing documents to my lender sooooo much easier because I understand what's going on. I enjoyed the course because the trainer was real. He didn't hide anything. Very comprehensive course, and easy to follow along. I was already certified, but it wasn't until taking this course that I realized how much I didn't know! So happy I didn't start working and becoming one of those agents that don't get calls back! Really grateful, thank you! I have taken a loan signing course at the community college and have seen a huge difference between the two courses. One of the biggest differences is the Loan Signing System provides details how to actually guide borrowers to sign the documents. In Mark's course, almost everything is explained from definitions of the terms with the help of the actual signings in videos. It also provides guidance to help notaries resolve problems that arise during a loan signing. For $174, I think the course is priceless and I highly recommended it for anybody, especially for people who are thinking of making this a lifetime career. If there was someone's picture who needed to be next to the definition of being thorough, Mark's picture would need to be there! This man is detailed, complete, and wonderfully skilled at loan signings! I signed up and paid for the course, and this is the BEST money I have spent in a long time! In fact, Mark is so thorough, that I feel a bit overwhelmed, but in a good way! This course goes through EVERY aspect of EVERY loan you will ever encounter. So take great notes, feel free to email Mark directly, and just learn at your own pace! I finished the course and passed my exam, but there are certain videos I am going to watch over again, and again, until I feel confident. Mark, you are a MASTER at this and even a better educator! Thank you for sharing ALL of your knowledge, expertise, pitfalls, encouragement and support! Please, do yourself a favor and sign up for this course. Then, get your notary commission, then watch the course, study, take the exam, learn from things you need to learn from and know that you are going to be a success, because Mark pretty much GUARANTEES IT! New Agent Intro: What is a Loan Signing Agent? If you only have the free trial, click here. Loan Signing System Bonus Training! Notary Guidelines: How Much Can You Explain as a Signing Agent? Which Certification to Take First: NNA or Loan Signing System?